Wily: Okay, I’m out of ideas. Ballade: You? I find that hard to believe. Wily: Ah, it’s just a mental block. All I need is a good night’s sleep. Ballade: Good, You’ve been staying up all night, keeping me awake too! ??? : (chuckles sinisterly) Who? That’s a convoluted question. Ballade: Okay, this guy creeps me out. Where are you? ??? : You know what, since you are so very curious I’ll tell you. In the darkness. In the gloom that engulfs your very existence. Ballade: Come out into the light! ??? : Better to light a candle than to curse the darkness. Wily: Well he’s a poet. ??? : No, I believe you are referring to Wraithman. Wily: Wraithman? I don’t remember building a Wraithman! Wraith: Unsurprising, seeing as how you did not construct me. Ballade: Then who built you? Wraith: Knowledge is the most dangerous weapon. If it were to fall into enemy hands, only God himself may foresee the destruction to be wrought. Wily: Why are you here anyway? Wraith: I too seek knowledge. You have the information I seek, but cannot use it. This is the bitterest pain among men, to have much knowledge but no power. Wily: What information do you seek? Wraith: Cossack’s Comrades. I wish to know more about them. Wily: I see. We may both profit from an alliance. What do you think? Wraith: Beware of alliances where the consciousness of supremacy is the only compensation for noble sacrifices. Wily: Fine, Ballade! Destroy him and tear him apart! I want to see what makes him tick. Hah ha ha! Wraith: Do not fear Darkness, for it is the cradle of eternity, and embraces all who seek it. Wraith: I find that hard to believe. I have reduced one of your best warriors to a mound of agony using less than a tenth of my total power, and you have not yet witnessed my more potent abilities. Wily: How dare you!? I am the most feared human on the face of the planet! Wraith: He whom many are afraid ought to fear many. Wily: What’s that supposed to mean, Shakespeare? Wraith: Hmm… Thank you. Now if you would give me the authentic data, I’ll be off. Wraith: I am no fool, distrust all whom the impulse to rule is powerful. Wraith: People sleep peaceably in their beds at night only because rough men stand ready to do violence on their behalf. Quint: D-don’t make me hit you! I-I-I’m not afraid! Wraith: (Slowly walking towards Quint) The fear of death is more to be dreaded than death itself. Wily: We’re eventually going to catch you without a quote and you’ll look undressed my friend! Wraith: To him who is in fear everything rustles. 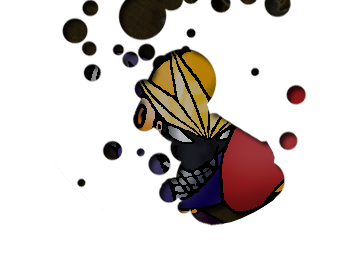 Wraith: You know now that you must give me all the information you have on all of the Megaman teams. You have no way to protect yourself from me. Wraith: If these turn to be false, then nothing may prevent my revenge. Not even God almighty may protect you as I cut your pitiful existence down, and I may watch as the gates of hell engulf your soul. Wily: I suppose that depends on your view of hell. Wily: He didn’t kill any of them. Just made them all suffer. I need to think this over, and find the consequences of the information I just gave him. Punk: Cool it, man. He'll be here, I think. Anyone know who this guy is? Enker: He is obviously powerful, due to the fact that he's paying us in police paychecks. Krypto: I'm going to tear this place down if he doesn't show up soon! Wraith: (Voice echoing) you would demolish this most holy of places? Punk: YOU!? You nearly killed me! Enker: He has a point. Krypto: Why did you summon us here!? Wraith: If you allow me, I will tell you. I am in need of assistance infiltrating Dr. Cossack's headquarters. Wraith: I am in on the search for knowledge. In the past, I have assimilated the knowledge and wisdom of countless individuals from their published works. Einstein, Hawking, Confucius, and many, many more, but I grow weary of antiquated information. I need the knowledge of today's leading scientists to further myself. I already have the entire databanks of both Dr. Light and Wily. Krypto: Why did you bring these two if you robbed Wily? Wraith: Their allegience is for personal gain first, Wily second. Speaking of which, you will get a quarter of your money now, and the rest when we return here. You all already know your wages. Punk: Great then! Let's roll out of here! Enker old buddy, if we keep pulling jobs like this, we'll be rich men! Wraith: It is ironic how those with a vast wealth are often more miserable than those with none. Krypto: What if I refuse to work with these people? Punk: Something wrong with us? You want to fight!? Krypto: If you want to! Wraith: I WILL NOT TOLORATE COMBAT IN THIS HOLY PLACE! Seat yourselves! Enker: Darn, I had a question. Punk: That it? Hurry up! We don't got time to stare. Wraith: Wise words, if not slightly vulgar. Enker: (Over earpiece) Wraith! We have problems! Wraith: (Woozily) W-What is it? Enker: Krypto didn't hold up his end of the job! He's down, and CC is almost there! Punk: Dammit! I'll go hold them off! Dive: He looks just like Skull! Ring: I don't know, he's a lot more evil lookin'. Wraith: Silence! You will wait, or the professor perishes. Drill: ... Everyone, ready weapons. Wraith: I have enough sins to atone for. Do not add this man's death to them. Toad: Who was that? A friend of yours? Dive: I have a feeling we'll get to know him a lot better. Ring: What did he download? Dust: The question is, what didn't he download? Wraith: (Tosses Enker an envelope.) I can't guarantee that will bring you happiness. Enker: I don't know, but it'll put food in my belly. (Wraith begins lighting the candles in the church.) You seem pretty religious, doesn't all of this wear on your soul? Enker: All things have souls! Wraith: All living things. I am not, never was, and never will be a living thing. I remember at one point I had died, and there was nothing. When I was reactivated, I remembered that nothingness... Though, I could not realize there was nothing at the time, as my mind was shut off. It was blackness for exactly five years, forty-two days, seven hours, thirty-five minutes, and forty-five point eight seconds. Most robots aren't programmed with the ability to question their existence, but I am. A twisted joke on the part of my creators. Wraith: It is odd that I pray. I pray to God, and attempt to keep myself from sin, yet I know nothing awaits me in the afterlife. Wraith: Have you ever wondered what awaits you in the afterlife? All robot masters seem to have developed traits of living things, and most of them were human at one point.